Rather quietly, the Chicago White Sox have had an active and productive offseason. 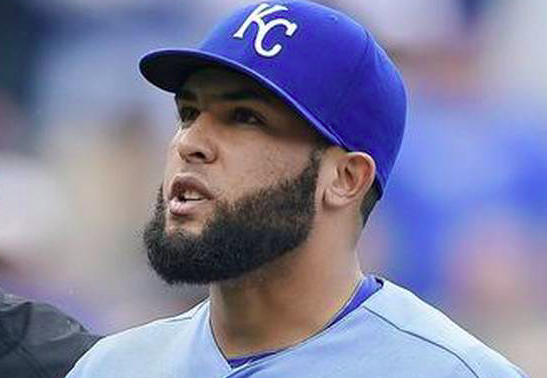 They continued that on Monday with the addition of relief pitcher Kelvin Herrera. The White Sox and Herrera have agreed to a two-year deal worth $18 million. There is also a vesting option for the 2021 season based on appearances over the next two seasons that can bring the total value of the contract to $27 million. For Herrera, signing with the White Sox means a return to the N.L. Central. Herrera spent the first six and a half years of his career with the Kansas City Royals. During that time, he became an important part of one of the best bullpens in baseball. He also helped the Royals win the World Series in 2015. With Kansas City rebuilding, he was traded to the Nationals last summer, only to struggle until being sidelined with a foot injury late in the season. Before being traded to the Nationals, Herrera was having arguably the best season of his career. He posted a 1.05 ERA with 14 saves in 16 opportunities while still with the Royals. Assuming he’s able to make a full recovery from his foot injury, Herrera should be capable of recapturing that kind of form. Having just turned 29 last month, he should be very much in his prime and still capable of being a quality late-inning reliever. Of course, Herrera is not the first major addition to Chicago’s bullpen this offseason. The White Sox also traded for Alex Colome to give a much-needed boost to what was a below-average bullpen in 2018. With the White Sox being a rebuilding team, it wasn’t a surprise to see their bullpen struggle last season. However, the additions of both Colome and Herrera have a chance to transform Chicago’s bullpen in a hurry. Whether it’ll be Herrera or Colome serving as the team’s closer remains up for debate heading into the season. Colome has more career saves and brings a little more experience in that role. However, Herrera clearly excelled in that role last season while still with the Royals. The White Sox will likely have the two compete for the job during spring training, although Herrera’s health could play an important role in how things play out. Either way, the White Sox have two proven late-game relievers who weren’t on their roster last season. The return of Nate Jones also gives them a third reliable arm at the back end of their bullpen. If the likes of Jace Fry and Juan Minaya can also give the White Sox steady productivity, Chicago could have the makings of a solid bullpen in 2019. Obviously, it’ll take more than Herrera and Colome to turn the White Sox into contenders in 2019 after losing 100 games this past season. However, an improved bullpen should help the White Sox take another step forward in 2019. Perhaps more importantly, both relievers are signed for at least two more seasons. The signing of Herrera and trade for Colome are moves that may be more geared to help the White Sox win in 2020 than next season.